We offer special print services for large billboard banners. We understand how certain mobile billboards are built and what type of frames are used, therefore we know exactly what types of banners are required to fit the appropriate space. We do a good job in a timely manner to get the job done for you and your client, with no delays. 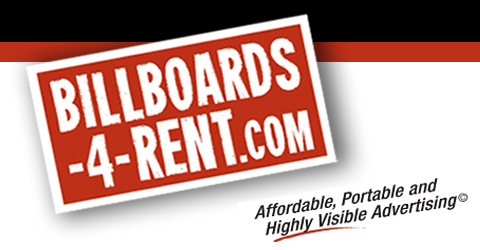 At Billboards-4-Rent, our print services are not limited to just large billboard banners but also brochures, rack cards, business cards, posters, promo items, shirts, caps, and more… We can help you design, create, and layout out the look you want before any final print occurs. Our goal is to provide consistency in all that we do to please our customers. Contact us today at (702) 835-2034.